IBM Watson Analytics: Federal IT Analytics Solutions - Four Inc.
IBM Watson Analytics is an advanced data analysis and visualization solution in the cloud that guides you through analysis and discovery of your data. 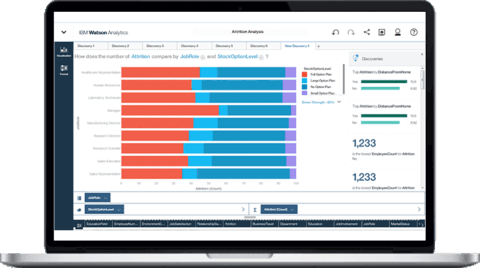 IBM Watson Analytics licenses now available. A few clicks make sure all your data points are in sync, whether you’re discovering or building dashboards. 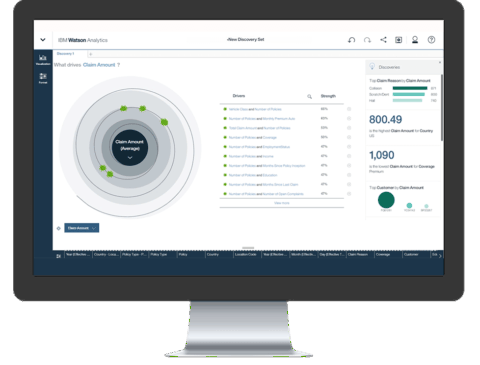 IBM Watson Analytics is a cloud-based data discovery service intended to provide the benefits of advanced analytics without the complexity. 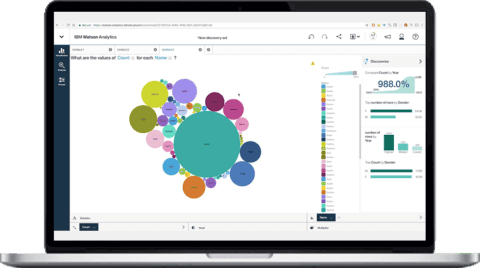 Watson Analytics is a smart data analysis and visualization service you can use to quickly discover patterns and meaning in your data – all on your own. With guided data discovery, automated predictive analytics and cognitive capabilities such as natural language dialogue, you can interact with data conversationally to get answers you understand. Watson Analytics is more than business analytics software. 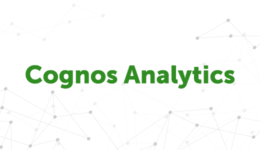 Enjoy the benefits of advanced analytics without the complexity. Discover relationships. Test correlations. Develop outlooks that can guide you to your next great achievement. Search for insights in your own voice and instantly get answers. Smart data discovery, automated predictive analytics and cognitive capabilities enable you to interact with data conversationally. 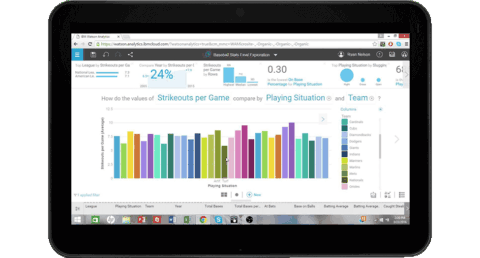 So, if you need to quickly spot a trend or your team wants to view insights in a dashboard, Watson Analytics has you covered.